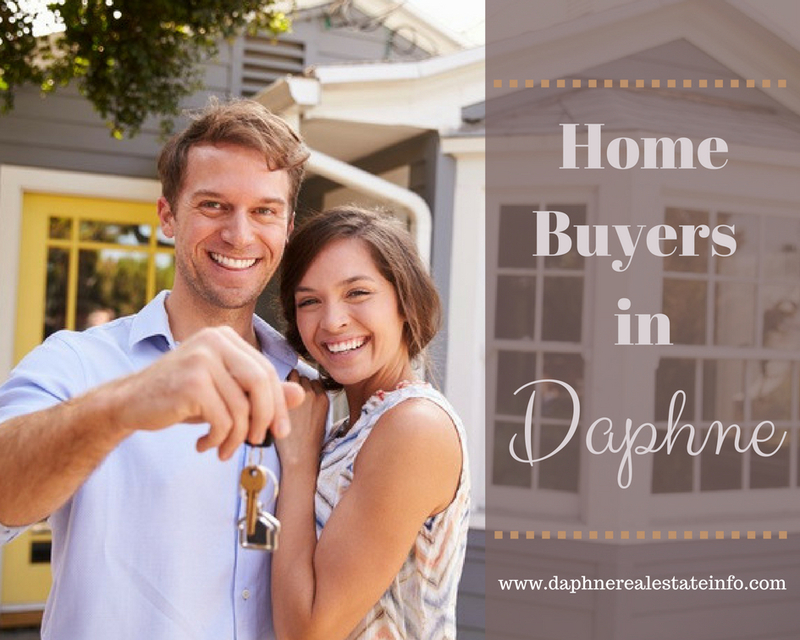 Daphne real estate is exploding and it’s easy to get caught up in looking at dozens of online listings, visiting homes, and writing an offer. What’s so important though is to have your own representation when buying your new home. Well, that’s where I come into the picture. 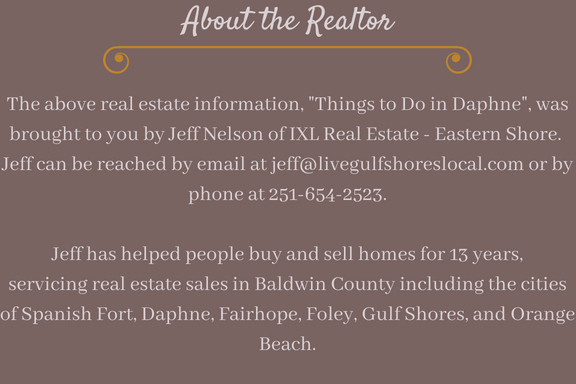 As a well qualified Buyer’s Agent in Daphne, I wanted to detail my obligations to you when allowing me to assist you in your purchase. Here are the services that you’ll receive from me as your Buyer’s Agent. Unless you’re paying cash, you’re going to need a mortgage loan of course. Over the years, I have aligned myself with some of the best mortgage companies and loan officers in the area. It’s part of my job to help you secure the best program for your particular needs which includes a great rate and low closing costs. You’ll also be assured to get a pre-approval letter that will give you an advantage with future negotiations. This sounds a little petty but if you think about it, actually listening to the client saves everyone a lot of time and money. When we first start working together, I’m going to ask you a lot of questions concerning exactly what you want – questions that pertain to aspects of the home and neighborhood that are important to you. I also will take a ton of notes about what you want to use for the next step. Based on your needs, wants, and criteria, I’ll set you up with a Collaboration Center that is an awesome tool for viewing listings that meet what you’re looking for. After including your search criteria, you’ll receive instant updates that only include homes that meet your criteria. I can set your updates to come to you daily, weekly, or bi-weekly. This tool is great because you will be able to take notes on listings, “like” properties, toss listings out, and message me about a home. As a Buyer’s Agent, I’ll schedule an appointment for any property that interests you including homes that are For Sale By Owner and new construction. Once you have found the home that is perfect for you, we’ll meet to discuss the terms of the contract, financing, contingencies, and closing dates. You’ll also see exactly what the market conditions are for your area and how they pertain to the home you want to buy. I’ll assist you in putting together an Offer to Purchase that will highlight your best interests. Yes, we may have to negotiate with the seller but rest assure that I am looking out for your needs and wants. My ultimate goal for buyers is to get the best possible price, in the shortest amount of time, with the least amount of hassle. From years of working in real estate, I have developed a team of affiliates that will give you the best possible service. They include legal services, title work, home inspections, pest control, and appraisal. I’m available! You can call, text, or email me at any time and I’ll answer your questions as soon as humanly possible. One of the most commons gripes that I hear from home buyers and sellers is that their agent in the past was not accessible. That is not the case here. Buyers have their own time frame for purchasing whether it’s within a month or 6 months. I’m willing to work with my clients no matter what that time period is. However, you are never under any obligation to work with me if you find that I’m not doing a great job for you. You will receive a 1 year home warranty for your new property. If I can’t successfully negotiate the seller providing one for you in the contract, I will pay for it myself. This will give you peace of mind for the major components of your home for your first year in the property. I’ll strive everyday to give you the best real estate service possible but if I’m not living up to your standards, we can separate our business relationship and I will wish you well. Please take into consideration that home buyers do not pay me (your Buyer’s Agent) any money at any time. All commissions are paid by the Seller. Sellers are actually paying for a Buyer’s Agent to represent them. So, even if you’re talking to an FSBO or an agent in the model home for new construction, please let them know that you have your own representation with a Buyer’s Agent.